David Sweet, a fixture downtown since the early 1970s, is selling his commercial real estate holdings along Main Street. That includes such well-known properties as Rand at 14 Lafayette Square, the Main Seneca Building at 237 Main and the Main-Court Building at 436 Main, as well as two smaller adjacent office buildings at 241 and 251 Main, the Roblin and Stanton buildings. The oldest building, the Stanton, was built in 1873, while the Main Seneca Building dates to 1902 and Rand to 1929. Main Court and Roblin were built in the 1960s. Sweet won’t disclose the selling price, but the five buildings are assessed at $12 million in all. He confirmed that “we’ve got somebody that’s looking” at them but wouldn’t disclose the potential buyer’s identity. The potential buyer would invest tens of millions of dollars into the properties if the deal is completed. According to the sources, the buyers is a local businessman that has dabbled in city real estate projects. 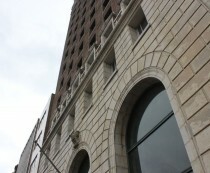 At least three of the buildings’ office space could be converted to residential units.